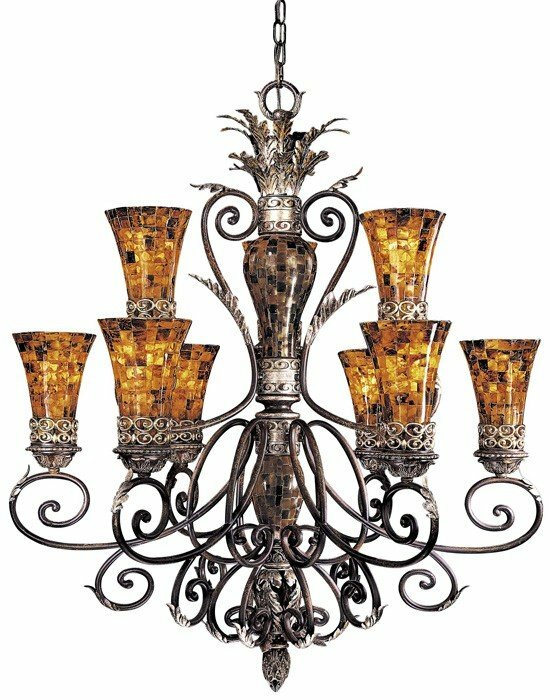 A fresh interpretation of opulent European lighting, the Salamanca Collection uses design elements from antiques discovered around the world and interprets them for today's interiors. 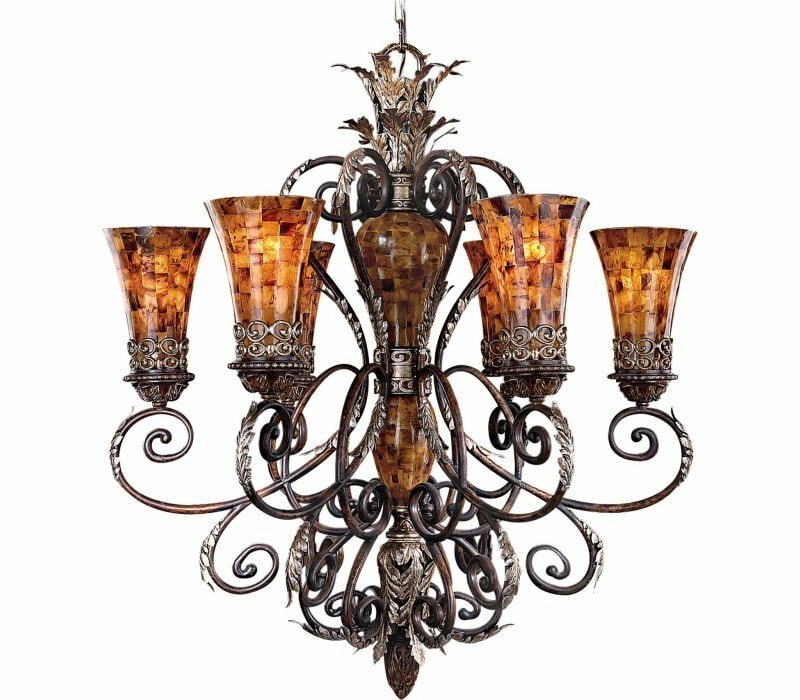 Detailed castings, burnished silver highlights, and Pen Shell inlay combine to create an elegance that is easy to live with. 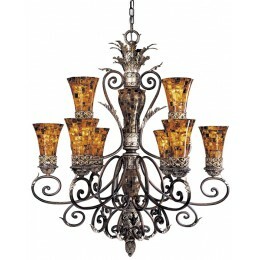 The Metropolitan N6518-468 Salamanca collection Chandelier Lighting in Cattera Bronze uses Incandescent light output and brings Antique style. This item is 45"H x 4.5"W. The total wattage is 540 and the voltage is 120 volts. 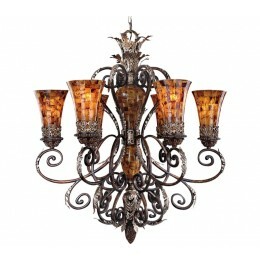 The Metropolitan N6518-468 requires 9 bulbs (not included). Additional Information: Shade-Pen Shell.